Built in 1928, it was a favorite site to smuggle liquor into the county during prohibition. The hurricane of 1939 destroyed much of the pier. The storms of 1983 tore out 400 feet from the end of the pier and 80 feet from the mid-section area, just past the surf area. When rebuilt, the end section was built 3.5 feet higher, and polyethylene-coated steel piles were used to hopefully better withstand winter storms. San Clemente pier is without question, a personal southern California favorite. 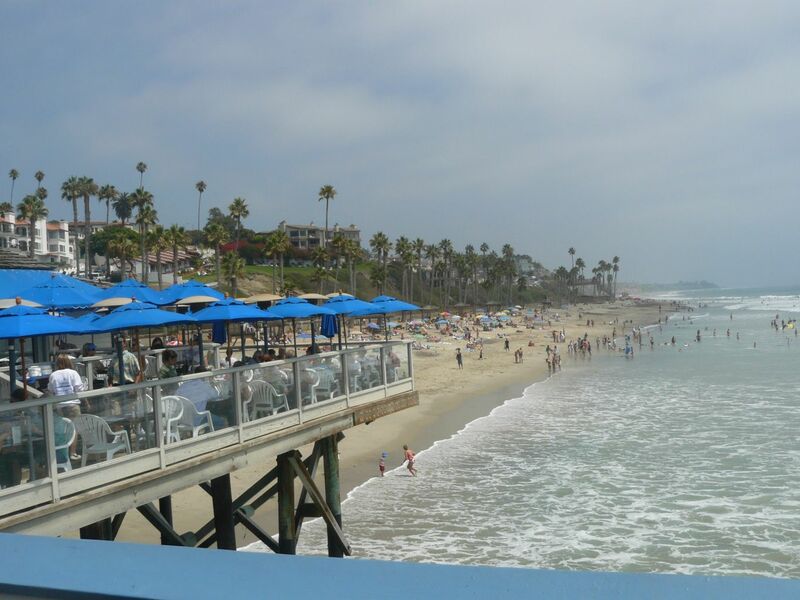 Unlike most other piers that have some direct route, one needs to navigate through quaint downtown San Clemente’s residential neighborhoods, and suddenly the blue Pacific appears. It’s not full of tourists, yet has two fantastic restaurants that flank the base of the pier both with spectacular outdoor seating. 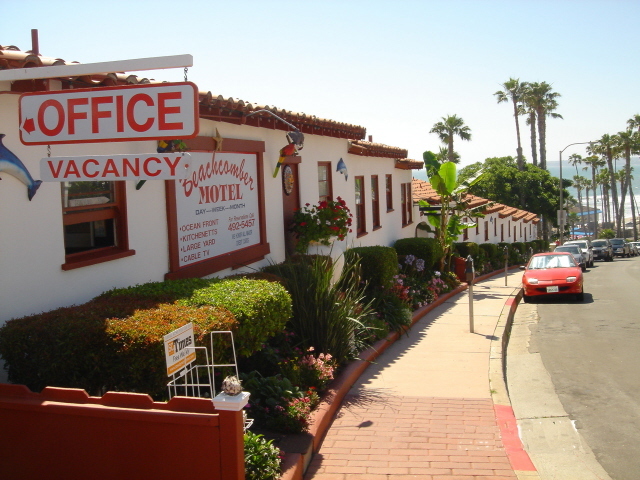 The pier actually has its own Amtrak stop and several large hotels grace the area, but my favorite is the Beachcomber Motel; a kitschy little place literally overlooking the pier.